Разстояние до летището 48,0 км. Имате въпрос към Le Ponton Hotel? Разположен в чудесния район Prey Thum, Le Ponton Hotel заема удобно място в плажове, ресторанти център на Kep. Хотелът се намира се на 1 Km от центъра на града, поради което неговите гостите могат безпроблемно да се наслаждават на всички градски атракции. С удобното си местоположение хотелът предлага лесен достъп до всички градски забележителности, които задължително трябва да се видят. Le Ponton Hotel също така предлага много съоръжения за обогатяване на Вашия престой в Kep. За удобството и комфорта на гостите хотелът осигурява безплатен WiFi достъп във всички стаи, 24-часова охрана, 24-часова рецепция, съхраняване на багаж, Wi-Fi връзка в общите части. Гостите на хотела могат да изберат една от 9 стаи, в които се усеща атмосферата на спокойствие и хармония. Възможностите за отдих, които хотелът предлага са открит басейн, градина, които също предоставят бягство от ежедневието и предразполагат за пълна почивка. Каквато и да е причината за Вашето посещение в Kep, Le Ponton Hotel е идеалното място за една вълнуваща почивка далеч от всичко. We loved this spot. The staff were wonderful and helpful and the grounds were very peaceful. A nice simple breakfast with delicious bread and a nice view. Our baby loved the pool and getting entertained by the owner's young son. Right next door to any restaurants. The owner was also kind enough to drop us into town one day. I would happily stay here again! 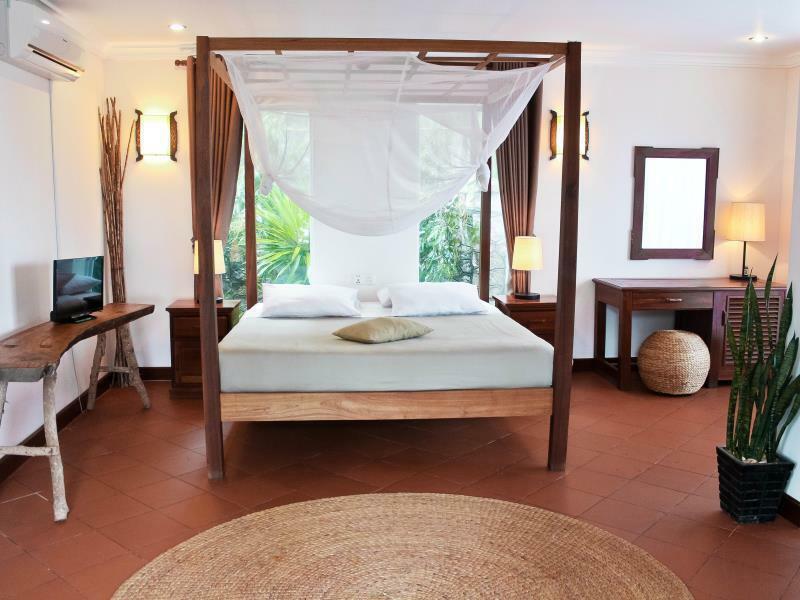 Pros - good location across from the beach & near the crab market - a garden setting room design; beautiful and functional - breakfast was good Cons: - Pillows in our room were old and had black moldy stains on them. Towels were a bit worn out. 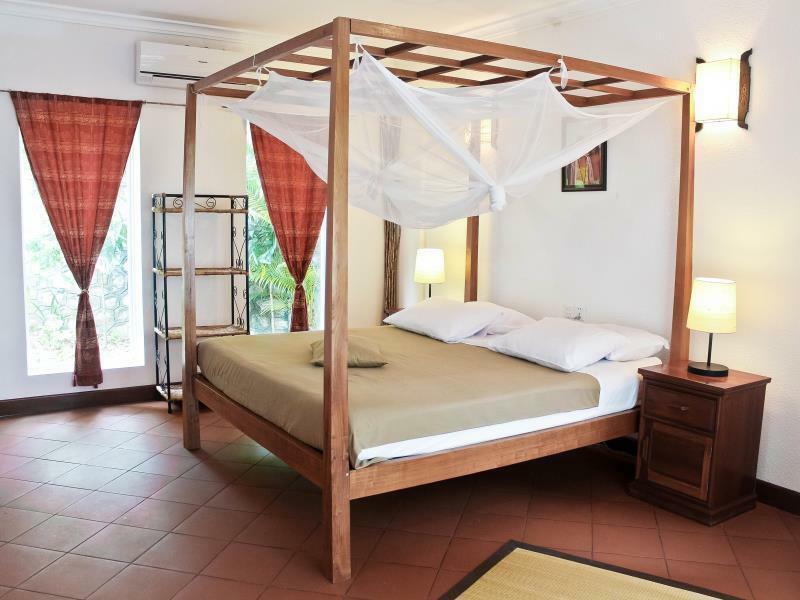 For a room in this price range, you would expect beddings & other supplies to be clean and more comfortable. There were rats in the room, which were running all the time in the night time. I’ve complained to the staffs and owner who spread rats bait on the first day only. They never tried their best to get rid of rats. I suffered the noises of rats running in the room. I dont want the future guests to stay in this kind of the hotel with rats and staffs and owner who never cared about their guests like this. When we got into our room the smell of damp hit me. I actually cried that night, it was awful, We stuck to the sheets, it prob is ok in the dry season but omg I hated every second . Was supposed to stay 2 nights but ran out of it at 7.30 am the following morning. Breakfast....well we just had bread and coffee then left. Travelling with kids and I was so upset. No thanks , never again !! The only thing I love about this place is great location. Because there’s no greeting when we got there they just lead us to our room (and our room not yet completely clean they said they will have staff come and complete it but I didn’t see anyone come), lack of staff and they aren’t helpful nor friendly. Only the owner is friendly. food 5/10. Not gonna come back. I booked the hotel in Agoda and i called them to confirmed the room which i have booked but they said there are no available for me . very bad service. These bungalows are beautiful. Decorated with style and comfort. Perfectly clean too!! (Although the private terraces could do with a little brush down daily but I appreciate they’re under the trees so gather nature!). Location is fab. Right on the front and perfect for exploring the crab market & restaurants and National Park. Pool is great. Breakfast was delicious. Would definitely recommend and stay here again! The khmer GM lady was horrible. We just arrived at the hotel not even 5 minute after walking in the room, she shout from the reception telling us to the shut our door, as she didn't want any dust or mosquitoes flying into the room!!!! The next morning I open the balcony windows and I can see her staring at me from the reception with a bad facial! That night we had a few drink and had our take away dinner at the balcony, we packed everything back after and we left our rubbish bag out side in a nice and clean way possible. The next morning breakfast time where all the guest were eating, she came and tell me off in front of every guest....that Her hotel now is like a Rubbish!!!!!!. is that how the GM come and tell your full paid guest? We in the group of 6 guest feel very very insulted by this Khmer ladies !!! WE did not ask for a free stay or we are staying in her house, we paid full price and we do want some respect as a guest! 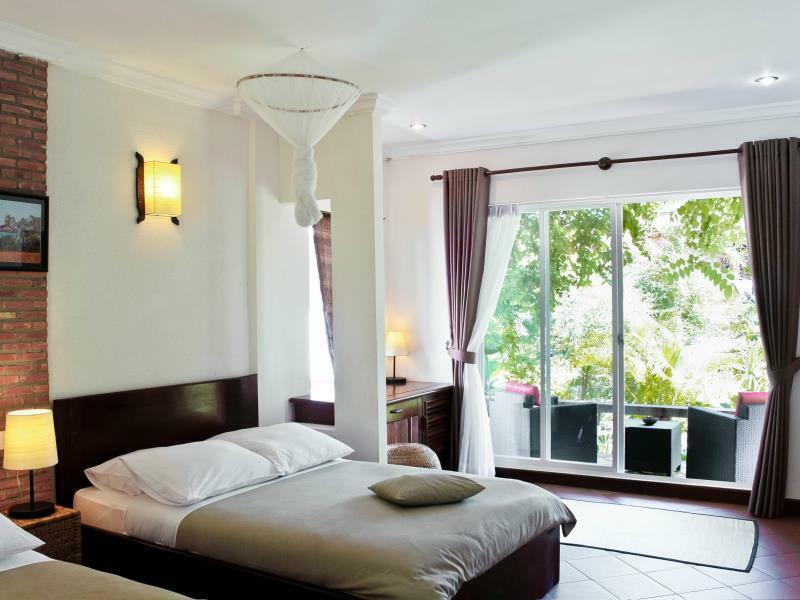 All photos on internet and Agoda of the hotel are accurate. (that is not always the case) It's a nice setting of rooms in a beautiful garden. Hotel bar is open in the evening. We had the sea view room. Room is facing west (nice to view the sunset) A spacious room, nicely decorated with outside terras on the sea side and one on the garden side. Good and clean swimming pool. Breakfast is French style: fresh orange juice, coffe/tea, eggs (any style), French chocolate croissant and French baguette with home made jam and fruits. Walking distance from crab market and restaurants. We rented bikes near the bus station for a few USD per day. 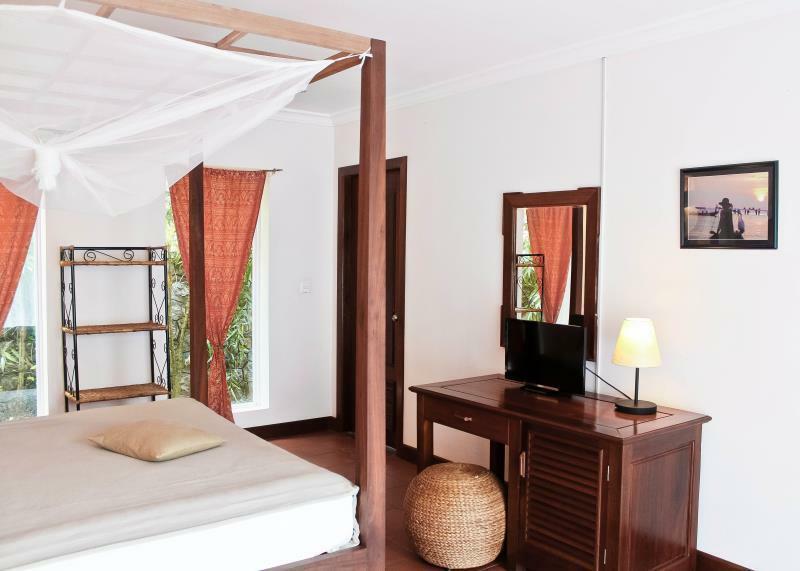 Very friendly owners (French-Cambodian) Recommended place to stay when you are in Kep! Nice facilities and very clean rooms. Great breakfast and great view of the sea. Everything was acceptable here. Worth a visit for second time. Le Ponton is in a great location on the seafront just 150 meters from the many restaurants and bars at the Crab market. Le Ponton has its own bar with a fantastic ambience and overlooking the sea. 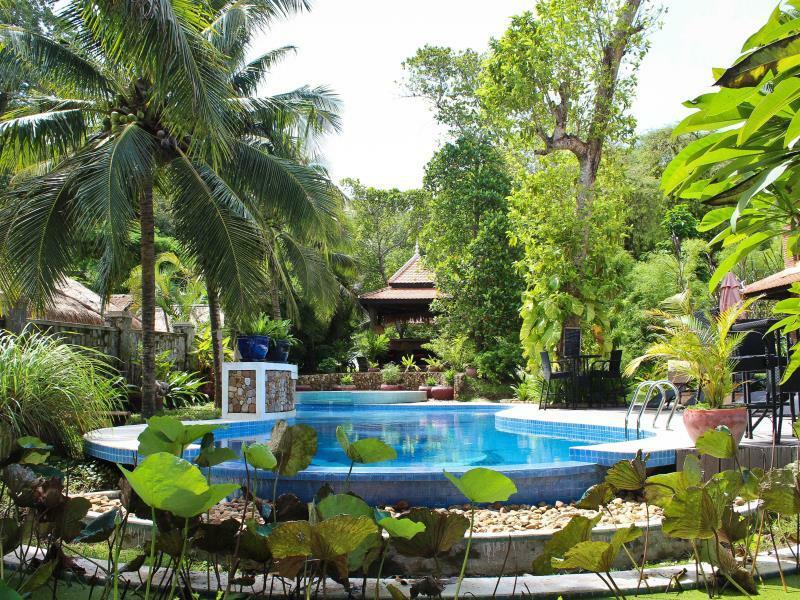 Landscaped gardens and nice swimming pool make it an ideal place to stay in Kep. The hotel has new owners (since 1 June) and they are a very friendly couple. It could have offered more. Poor breakfast, small room compare to price we pay.